Mobile devices are replacing PCs in the workplace and will continue to become more prevalent. However, a lot of organizations’ software policies do not cover mobile devices. Software asset management (SAM) programs need to continue to evolve in order to include these devices, and ensure that they are delivering value without introducing new risks. 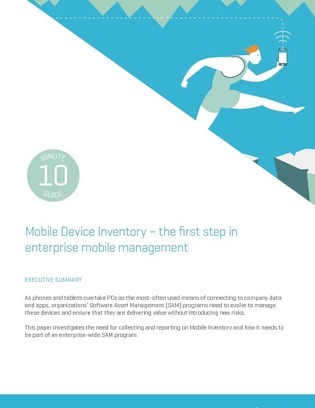 Access this white paper to investigate the need for collecting and reporting on mobile inventory and how it needs to be part of an enterprise-wide SAM program.